from the foundation family of English Derby G1 winner Nashwan. Turf, and Synthetic Surfaces. 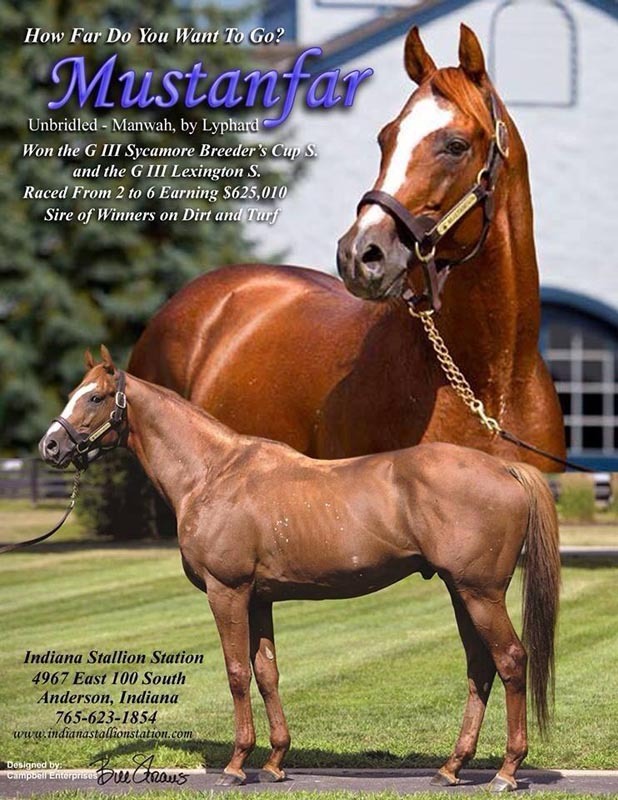 He won the Sycamore Breeder's Cup GIIIT and the Lexington Stakes GIIIT. and Second in the Washington Park H GII, Dominion Day S GIII, and The Ben Ali S GIII on synthetic. makes him a great choice as a sire, in a day when most sires have fewer than 12 starts.